Entenmann's Little Bites & Alvin & The Chipmunks: Road Chip Giveaway! You are here: Home / Sponsored / Entenmann’s Little Bites & Alvin & The Chipmunks: Road Chip Giveaway! Entenmann’s Little Bites & Alvin & The Chipmunks: Road Chip Giveaway! Alvin and the Chipmunks and Entenmann’s Chocolate Chip-Munk Muffins are the perfect kid combo! Entenmann’s Little Bites is teaming up with Alvin & the Chipmunks just in time for the March 15th Alvin and the Chipmunks: Road Chip DVD and Blu-ray release! Through March keep an eye out for the specially marked Entenmann’s Little Bites Chocolate Chip-Munk Muffin boxes. Purchase of one box includes a FREE chipmunks song download, one fun on-box activity maze and a great coloring sheet inside the box! Entenmann’s Little Bites is also hosting Little Bites “Road Chip” Sweepstakes for fans to enter for a chance to win a 4 day/3 night family trip to Hollywood! In the new movie, Alvin and the Chipmunks: Road Chip, Alvin, Simon, Theodore and their new companion, Miles, cross the United States in an epic road trip. They’re in a race against time to get to Miami before their dad, Dave, makes a life-changing decision. And Entenmann’s Little Bites muffins are there to go right along with them as every family’s favorite on-the-go treat! 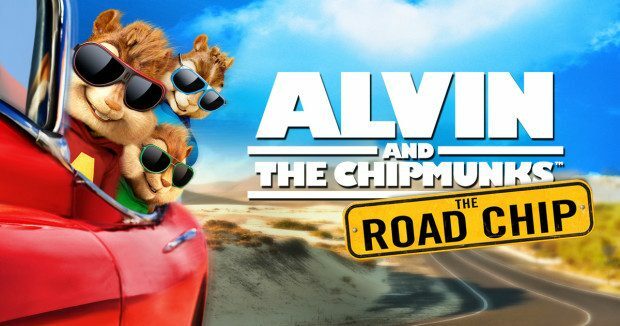 That’s why they’re teaming up with Alvin and the Chipmunks for their Road Chip adventure! Entenmann’s is offering a fun giveaway for our readers! You can receive a $50 prize pack! It contains 2 boxes of the Little Bites Chocolate Chip-munk Muffins, 4 $5 Little Bites coupons and one (1) download code to access the Alvin and the Chipmunks: Road Chip on Blu-ray, DVD and Digital HD! My grandkids went a little wild with this prize pack! They wanted to watch the movie right away and they snacked on Little Bites Chocolate Chip-munk muffins while they watched! It was a great day! To enter the giveaway, leave a comment with the answer to this trivia question about the movie. “What song do Miles and the Chipmunks sing in the streets of New Orleans?” The winner will be drawn at random. This giveaway will end Saturday, March 19th, 2016 at 11:59 pm Central time and the winner will be emailed soon thereafter. Make sure you add [email protected] to your address book, so you get the email if you win! 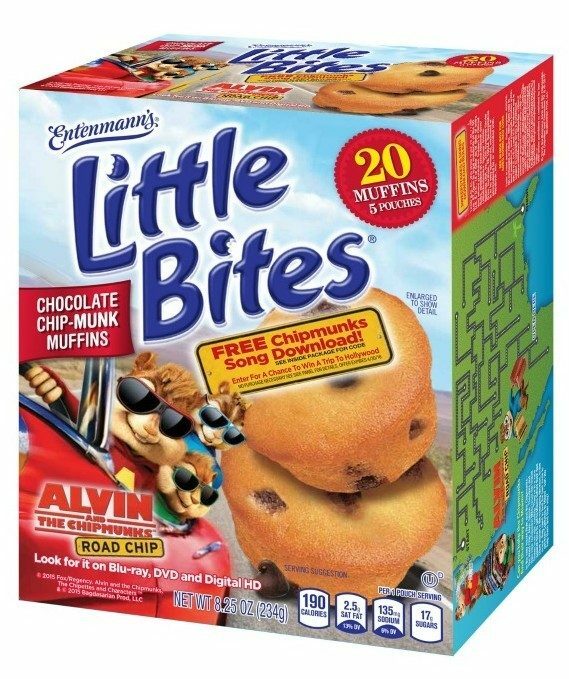 Also, be sure to enter Entenmann’s Alvin and the Chipmunks: Road Chip/Little Bites Chocolate Chip-munk Muffin sweeps! One (1) Grand Prize winner will get a Hollywood Movie Star Vacation for four! Lounge like movie stars in a Posh Hollywood Hotel! 4 days! 3 nights! Enjoy Alvin and The Chipmunks™ themed décor, goody bags and snacks! Go NUTS at your very own Alvin and The Chipmunks™ Road Chip Party! Sing Alvin and The Chipmunks™ Greatest Hits with your own Karaoke DJ! Tool around LA in your Luxury Rental Car! See the Sights! Beaches! Stars! Sweepstakes Period begins 2/15/16 at 12:00 a.m. ET, and ends 4/30/16 at 11:59 p.m. ET. 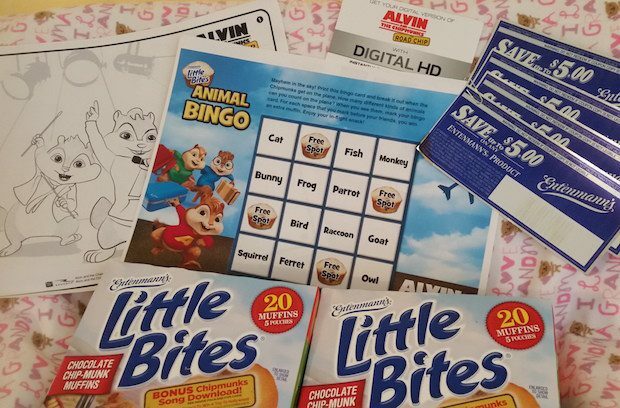 Visit the Entenmann’s Little Bites page on Facebook (look at the Alvin & The Chipmunks: Road Chip tab) and follow the directions to enter. Subject to the Official Rules, available online. Good luck!